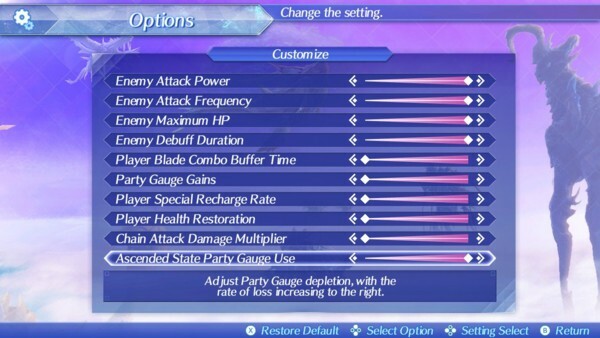 Dataminers have come across a brand new feature that will allow players to customize every nook and cranny of Xenoblade Chronicles 2’s difficulty level. For instance, players will be able to customize the difficulty of the enemies’ attack power, attack frequency, player health restoration, player special recharge rate, and many other variables which could offer a completely new experience. In addition, a new difficulty mode called “Bringer of Chaos” will be introduced alongside difficulty customization. It’s said that Bringer of Chaos is way harder than maxing out the sliders on the difficulty customization menu. The new difficulty customization feature and Bringer of Chaos difficulty level will be added in a future update later this year.